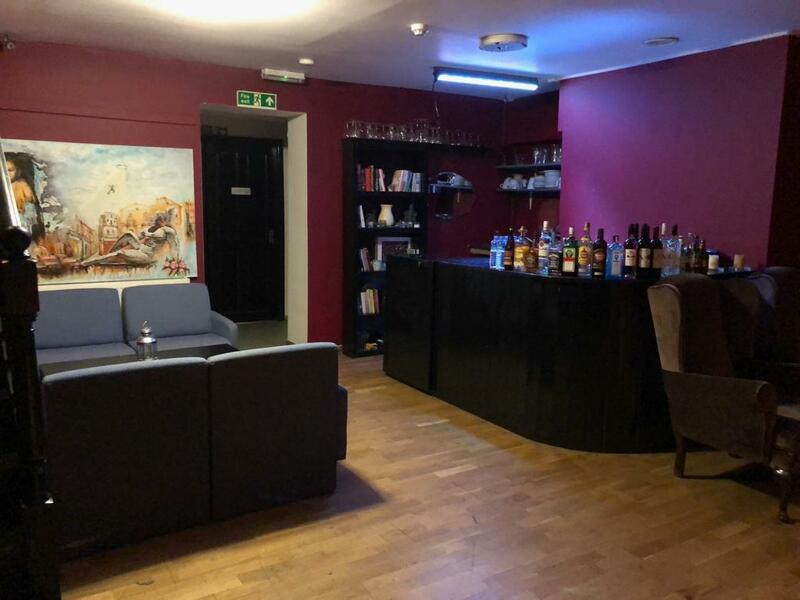 A functional and spacious hall with lots of facilities including a stage for performances, a fully stocked bar, projector, sound system, and lighting system. 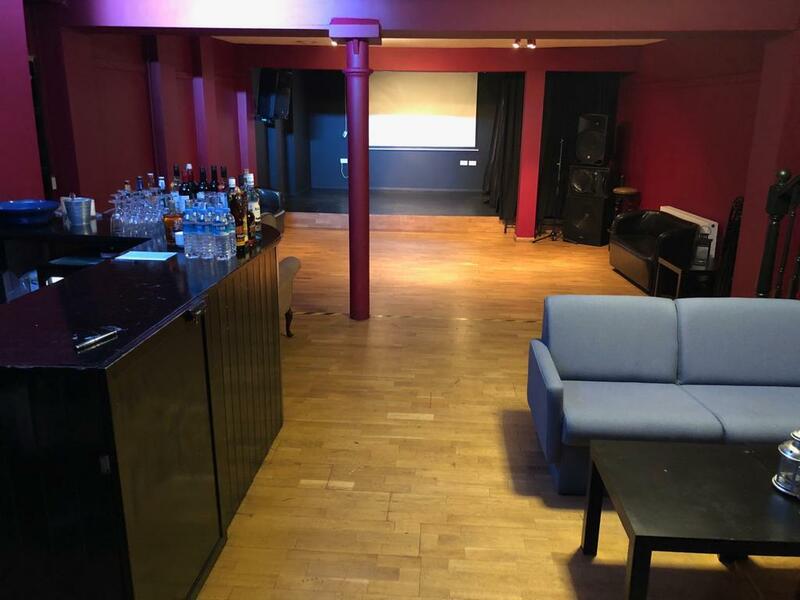 Please note that we have a Cafe & Restaurant section upstairs and our hire fees dramatically reduce when we cater the food and the drinks at your event. - Regular (weekly/monthly) and Artistic Bookings: 50% discount applied on regular prices for bookings between 10:00 and 17:00, Monday - Sunday; if the venue is booked on regular basis and/or for artistic or charitable purposes. - Professional Bookings (Concerts & Shows): Discounted daily rates apply for concerts and shows that require 3+ hours of booking including set-up & soundchecks. We also have a different policy for equipment hire in these cases. Please contact us for details. 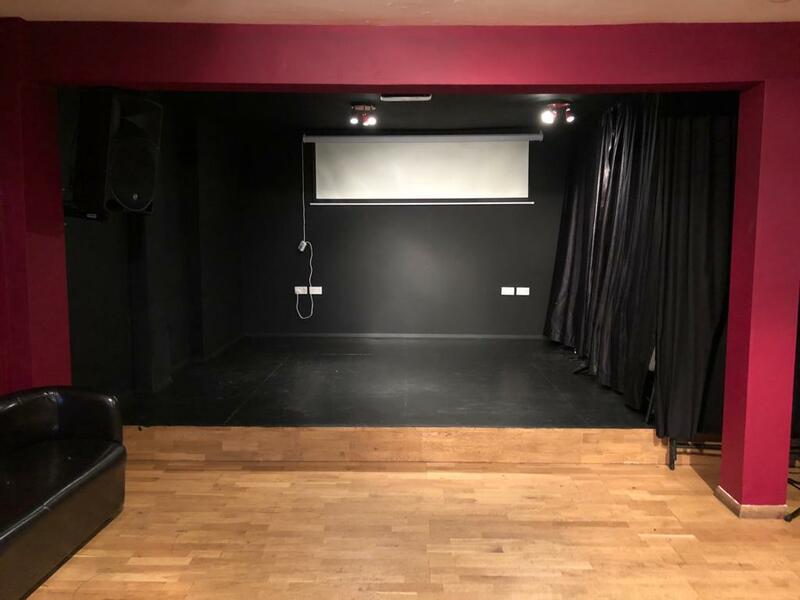 - PA System Hire: Our sound system and instruments are available to hire for extra £15/per hour. Bespoke menus start from £4 per person. We are happy to set the right menu for you with our mezzes, appetizers, finger food and mains addressing vegans, vegetarians and meat lovers. Send us a message through Tagvenue for your bespoke menu. Babel Art House Cafe & Restaurant prides itself on serving the best of Antioch (Antakya) cuisine and is famous for it's delicious food; especially homemade mezzes and a wide range of vegan food options. Hatay, also known as Antakya, is a province in southern Turkey that is bordered by the Mediterranean Sea and Syria. Recognized by UNESCO as “World City of Gastronomy”, Hatay, where several cultures have lived together peacefully for centuries, is better known for its rich, delicious cuisine that is a manifestation of its cultural life and reflects the province’s mixed Turkish and Arab history. Babel serves you some of Antakya’s authentic cuisine. Cooked with fresh and local products especially imported from Turkey, our home-made dishes will take you on a culinary journey around Antakya. We are happy to offer you bespoke food packages/ buffet and cater our homemade specials at your event. Send us a message through Tagvenue for your bespoke menu. * You will be billed in half hour increments. * Upon request, we are able to supply a stocked bar and/or a fixed menu/buffet and also extra staff for your event. * We have licence until 12:00 am. However, if you are planning to have a private party and bring a "guest list" to the evening, we can extend the hours; only we need to put the music volume down after 12:00 am as we are based on a residential area. In this case, we will also have to apply for a Temporary Events Notice (TEN) License, which is subjected to a fee of £21 and is covered by the event holder. * We require 50% of the total payment in advance in order to lock in the booking. Remaining payment shall be made on the day of event. For your questions and queries please contact us. Babel Art House is a two-storey cafe & restaurant with a venue in the basement. 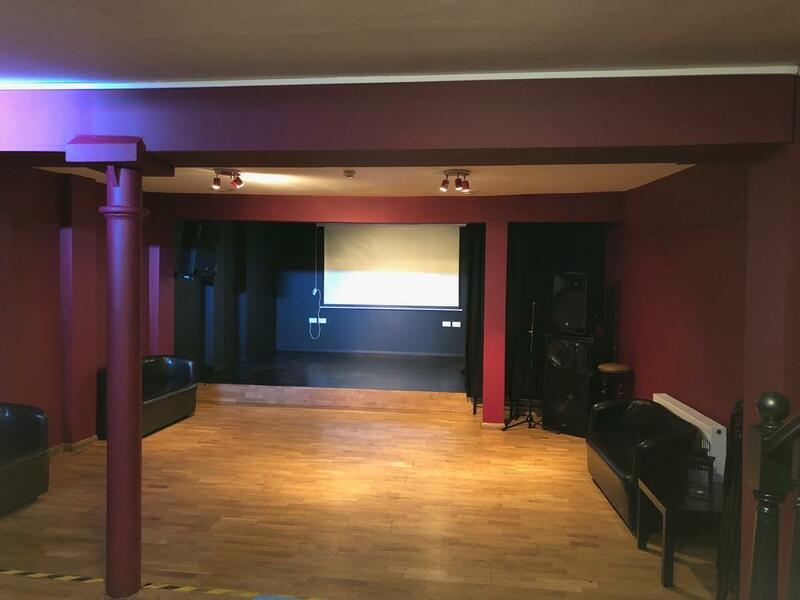 The space is fully equipped with lighting, a sound system, projector, stage and a fully stocked bar to cater for any event or function.